Striking West Virginia Teachers Need Labor’s Support Urgently! “An Injury to One Is an Injury to All!” must become the battle cry of the teachers’ unions and of the entire labor movement. — Edit. Bd. The Chicago Teachers Union stands in solidarity with educators in West Virginia who are on strike for fair wages and adequate health care. Enough is enough. Even without collective bargaining, these teachers are steadfast in the face of attacks on their classrooms and the students they serve. We stand with our sisters and brothers in West Virginia who are being forced by Gov. Jim Justice to pay for that state’s budget shortfalls. They have not caused this crisis, yet they are expected to shoulder the burden, and that is unacceptable. Solidarity is the foundation of unionism, and the struggles of our sisters and brothers belong to all of us. We urge our family in West Virginia to stand strong, for they have thousands of CTU members standing behind them. Labor Movement Needs to Walk the Walk, Not Just Talk the Talk! Speaking to hundreds of striking teachers in West Virginia on February 26, the very day that the Supreme Court was hearing the Janus v. AFSCME case, Randi Weingarten, president of the 1.5-million-member American Federation of Teachers (AFT), stressed the point that working people need to rely on themselves, and not “outsource their power to others,” if they are to win their demands. First thing, the teachers’ unions and the entire labor movement need to mobilize support for the striking West Virginia teachers. They are today on the front lines of the struggle for workers’ rights. This is urgent. The striking teachers need to know ASAP that labor has their back. But that is not all. Labor is under attack like never before. The Supreme Court’s Janus v. AFSCME case, which would eliminate agency fee, represents a gun pointed at the temple of the labor movement. The bosses want to gut labor’s numbers and their collective strength. A federal “right-to-work” law looms closely behind Janus. Actions to protest the Supreme Court’s expected decision in support of Janus were held across the country on February 26. 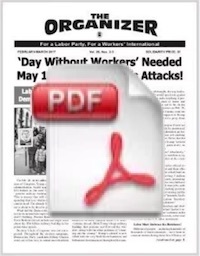 But they were small, scattered — and they were not backed by a unified labor movement. This is not going to turn the Supreme Court around. Yes, the trade unions will need to reach back to their independent, fightback origins if they are to prevail in this fight against the corporate juggernaut. But it is not enough to prepare the unions for the post-Janus era, important though that may be. The time is now to stop Janus in its tracks. And it is not too late to do so. 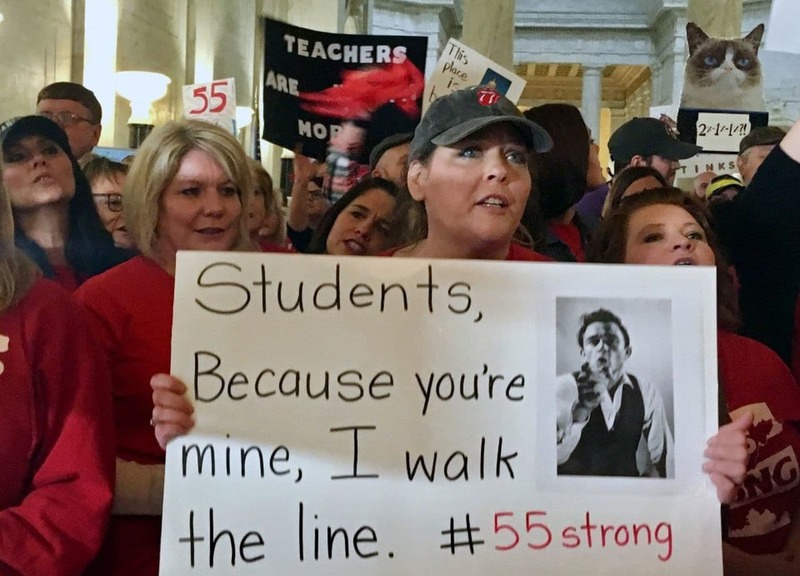 – All Out to Support the Striking Teachers in West Virginia! 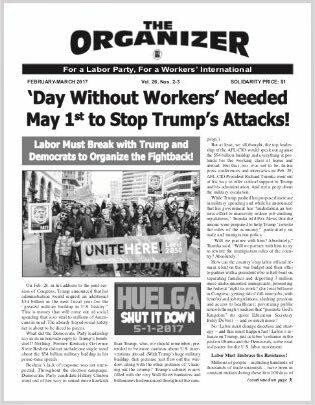 – For a National Day of Solidarity on May 1st for Labor and Immigrant Rights!